Each Sunday in January, you are invited to join us for a guided tour through the Art Park to see our sculptures, the magical scenery, and maybe even some wildlife along the way. 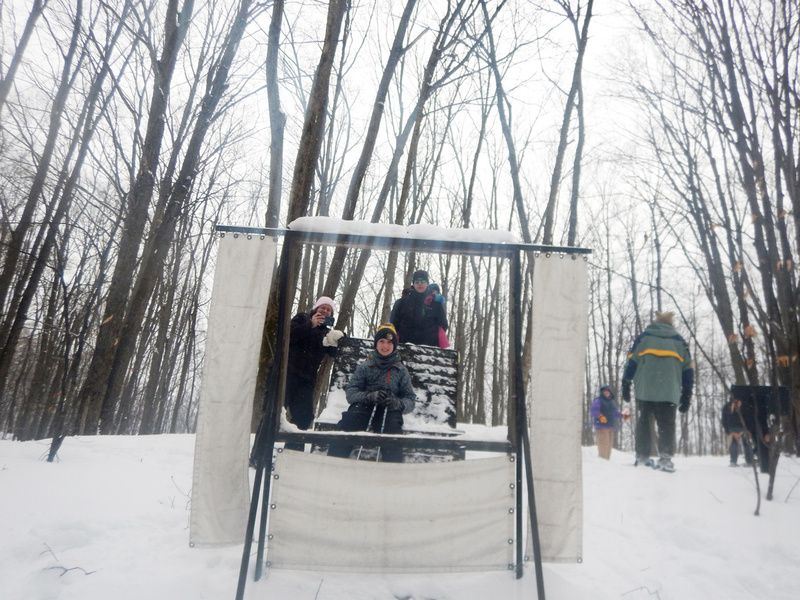 Meet at 2:30pm and bring your snowshoes! 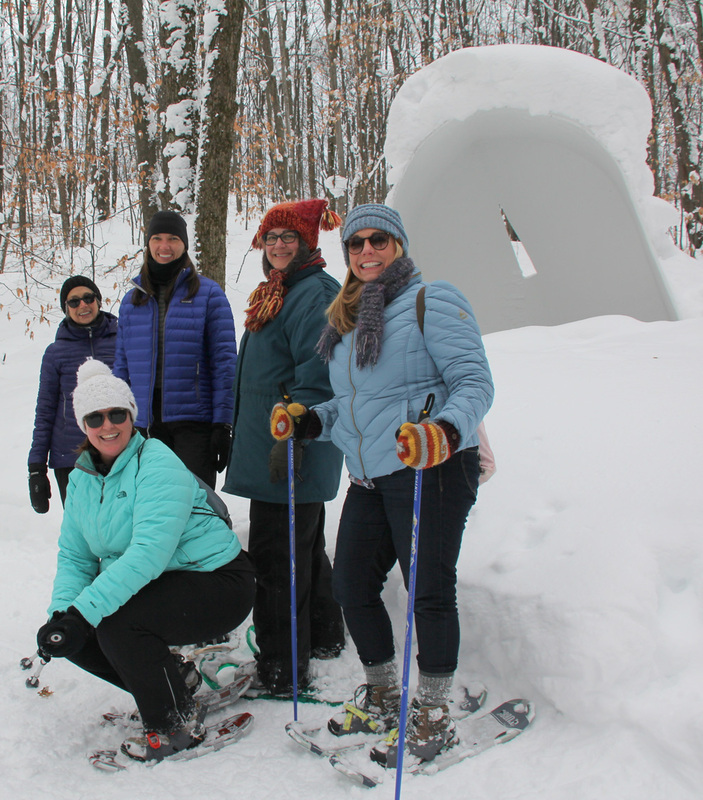 Winter is a wonderful time to explore Michigan Legacy Art Park! Snow offers a new challenge to the terrain and a fresh perspective to the art. 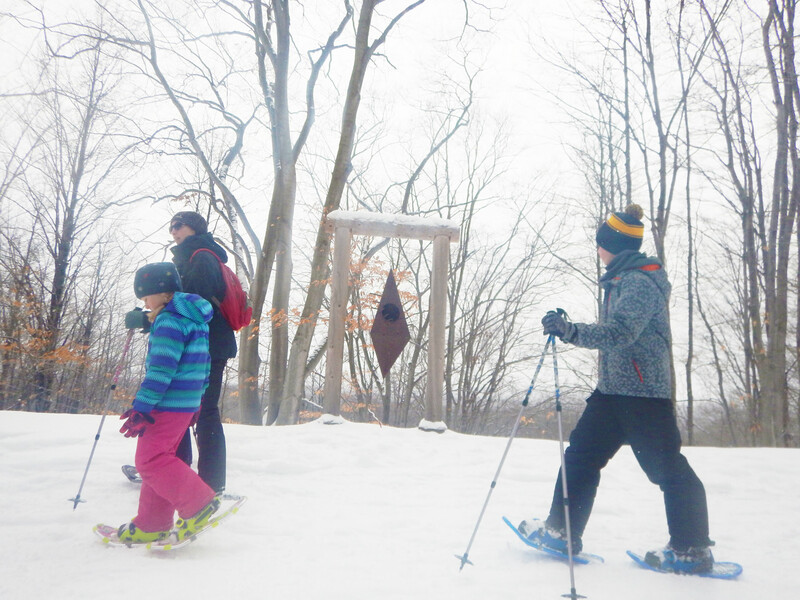 The Art Park is open for snowshoe hikes every day, all winter. 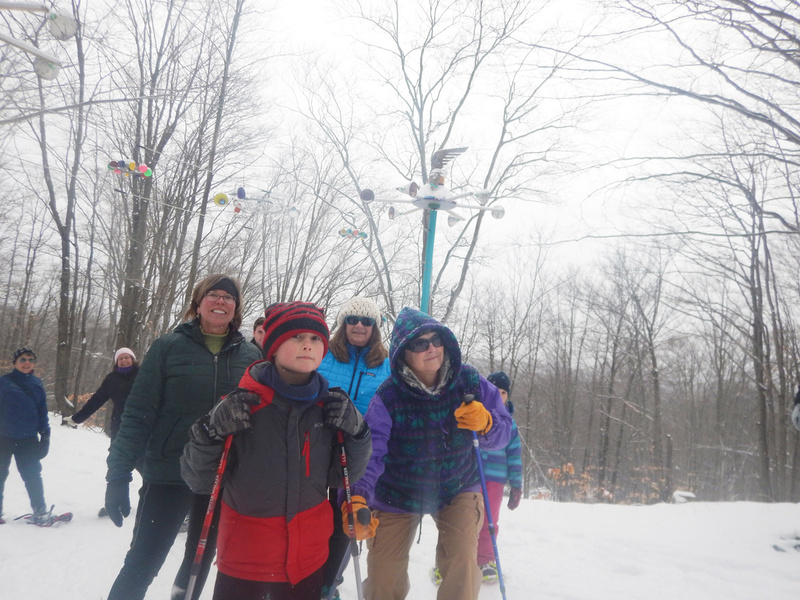 Please use snowshoes on the trails. Limited snowshoe rentals are available at Crystal Mountain at the Park at Water’s Edge. 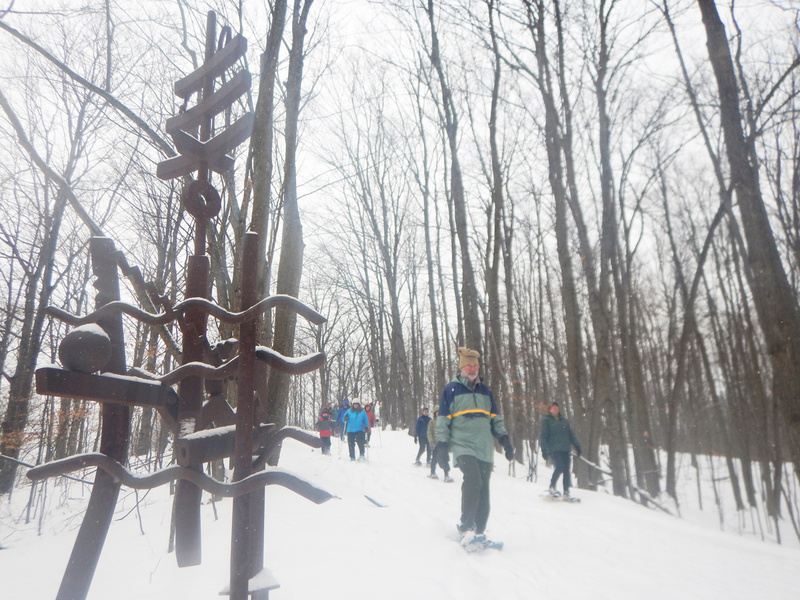 Sections of the Art Park trail are shared with x-country skiers from Crystal Mountain. Always be aware of x-country skiers. They move quickly and quietly. Skiers always have the right-of-way. Please move aside to allow skiers to pass. Please keep to the side of groomed ski trails whenever possible. Absolutely no boot hikers are allowed on groomed ski trails. 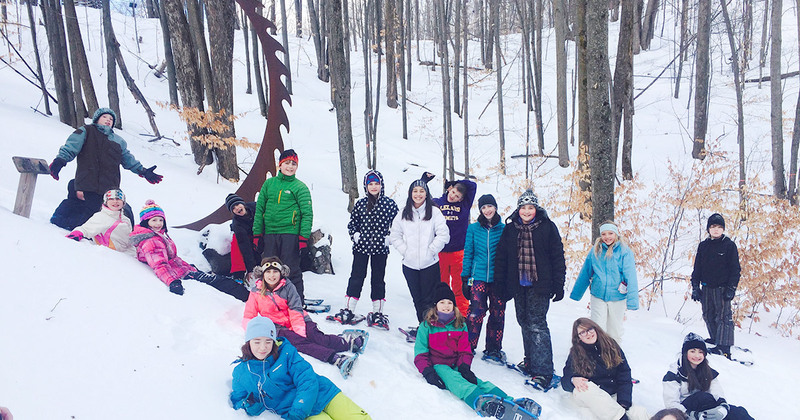 Please use snowshoes for winter hikes.